In India, the election commission is an independent department that has its own budgets and does not rely on the Centre for this operation or to make decisions. 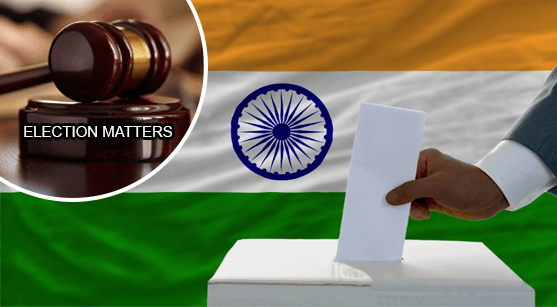 The election commission is not playing an active role only when there are state, national or intermediate elections taking place in the country, but also any matter pertinent to the election, any member of the Rajya Sabha or Lok Sabha or any political party is discussed or resolved only by the commission. For example, the misconduct of any political leader is brought to the notice of the commission, which thereafter decides if there is any action to be taken against this person or if he is not guilty. All political parties must be aware of the social and legal boundaries in which they should operate. It is important for them to consult with experienced advocates, who can help them in election matters and in the day-to-day legal issues they have to face. There are certain dos and don’ts that politicians must follow to be eligible to contest for elections, file nomination papers, stand for the elections, carry out canvassing in different parts of the area that he chooses to contest in, and finally, when he wins the elections. A good advocate will review all the documents a politician needs to hand over to the commission, propose legal reforms, which the politician may be able to bring about in the area and handle legal complication if they arise due to allegations made by the opposition or any other factor. The media is most active at this time and can dig up issues that lead to conflict of interest or are in violation of the Election Commission laws. A reliable advocate will deal with such issues, as well. Advocates in Chandigarh has represented many well-known politicians in this sphere, both within and outside Chandigarh. We are well-versed with all election-related laws and can easily provide legal services for this purpose.